If you remember our last Latin Night two years ago you will want to come along again ..... if you missed it, IT IS A MUST. 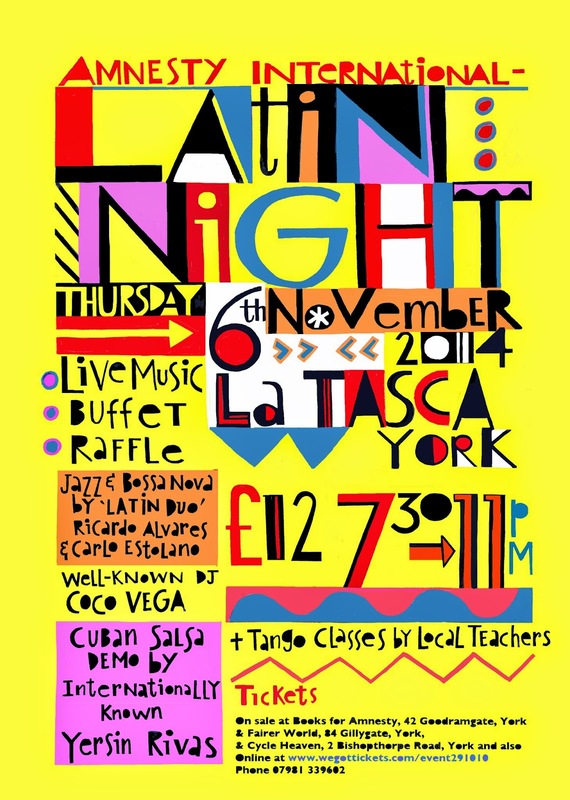 The date for your diary is Thursday 6th November, the venue La Tasca York, the time 7.30 till 11. NOTE: Online tickets event291019 (changed from the poster). Tickets £12 from Books For Amnesty, Fairer World, Bishy Road Cycle Heaven and at the door, or phone 07981339602. There is a 10% booking fee online.